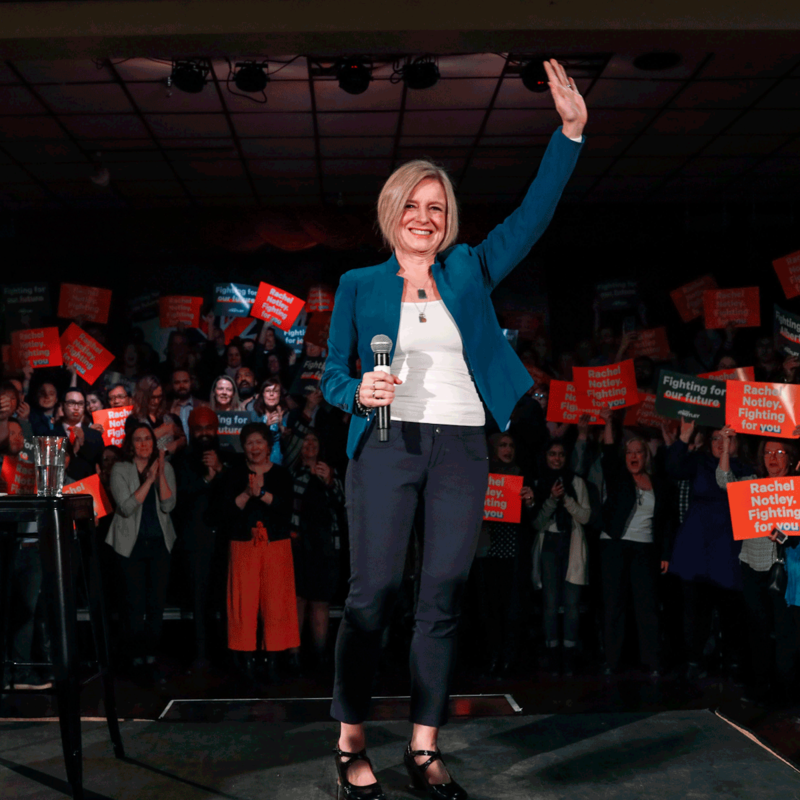 A lot of good things can happen in four years, particularly when Rachel Notley is fighting for you. When Albertans go to the polls, they’ll face the most important election in generations. What they decide will determine Alberta’s future. Following the 2015 election, Notley worked hard to undo reckless Conservative cuts to classrooms, universities and hospitals. But she did a lot more than that. Overturned Conservative cuts to Program Unit Funding (PUF), a program that helps school children with disabilities. Cancelled the privatization of hospital lab services in Edmonton. Reversed the closure of the Calgary Young Offender Centre, which would have hurt the rehabilitation of young people. Slashed Conservative travel and hospitality budgets from their peak of $27.6 million in 2013 to just $3.8 million. Reversed school transportation cuts for Indigenous students, English-language learners and kids with special needs. Scrapped the Conservative Health Care tax, saving families hundreds of dollars a year. Eliminated Alberta’s flat tax, which gave breaks to people making more than $300,000. Lowered political campaign donation limits from $30,000 per person to $4,000, banning corporate and union donations to end decades of pay-to-play politics in Alberta. Cut salaries and eliminated perks for Alberta’s public agencies, boards and commissions. Salaries were in excess of $500,000/year and included perks like golf club memberships. Phased out obscene salaries for post-secondary executives and introduced guidelines for wages for school superintendents. Albertans will face a clear choice in this election: plan for the future or pray for a return to the past. Jason Kenney has promised a “summer of repeal” to toss aside protections for workers, decimate Alberta’s booming renewable energy sector and scuttle deals that will diversify Alberta’s economy. While the UCP leader says he will move quickly so he doesn’t get “bogged down” in consultation, Notley says Kenney needs to wait until the votes are counted.